How to Find Bad Backlinks for Your Website? Backlinks are references that put on resources of other webmasters, citing you as an additional info source. 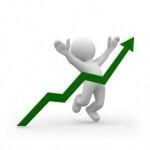 Inbound links increases the effect of overall optimization of the resource in SEs. It’s quite simple to see the regularity – the higher the number of linking donors, the closer your site is to SERPs top. SEs include in their ranking algorithms awareness of backlinks number. SEs are more likely to trust the resource if it has large inbound links number. The more links – the easier the optimization and promotion. Generally, it is true, but there are nuances, particularly about bad backlinks. Let’ check them. Why do we need to analyze external backlinks? Many of you know that there is a likelihood of exposure to the filters of search engines due to bad links. And that’s the worst result. Another case is when you site just got penalized with downgrading of its positions. Not so sad, but not desirable as well. Analysis of the reference weight is not always necessary for the sake of studying the competitors and searching for opportunities to improve your reference portfolio. The need of removing the “dangerous links” arises due to the fact that SEs introduced filters like Penguin, which considers backlinks quality. In terms of SEO, bad links that are harmful to your site should be destroyed, even if you’d paid for them. So goes the world. Of course, you can promote your project to the top only by creating a very useful content, adding unique optimized articles, not spending time on the accumulation of links. But in this case a success rate is much lower than when dealing with the improving of backlink profile. Running beforehand, we say that the best is when the growth of external links occurs naturally: visitors leave their references to your site on other resources, or you site got linked by article authors as an additional source of info. All by myself, or how to get a proper backlink profile? Link building is a quite hard sequence of operations even for professional SEOs, let alone amateurs. You can actually try to act independently, but only in case you have enough time to understand the whole process and (the most important) gain practical experience. After all, practice shows that a person who has great theoretical knowledge base, but do not have sufficient experience, often makes mistakes, and eventually the whole of his work comes to naught. 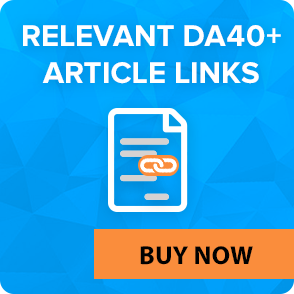 LinksManagement offers quality SEO assistance, in particular – backlink building with DA40–DA100 backlinks. Cooperating with LinksManagement, you’ll be sure with proper use of funds and moneyback in case of unforeseen circumstances (e.g., if the reference was removed shortly after the purchase). We care about our customers, and therefore proposes cooperation on the most flexible and favorable terms. “Site networks”. You can check the presence of networks in backlinks, using Ahrefs by “Referred IP-address” menu. The service groups site by subnets, so it’s not difficult to find referred domains of a single IP-address or of the same subnet. There are networks which are hardly determined on the subject of spam: be sure to remove such references. SEs easily find “site networks”, in best case not taking them into account, in worst –downgrading them in rankings. Presence of spam. Under spam it means the ratio of outbound domain links to incoming ones. Sites, created for monetizing, often have few inbound links (they’re rarely referred by someone) and a lot of outgoing paid links. Determine how many links website has by using one of available services (we’ll talk about them later), how many sites the resource links to (e.g., this can be done with Bing SE and “linkfromdomain:” operator). Use multiple services to check the number of inbound and outbound links as Bing does not always show the outgoing ones (e.g., sites can close the access). 1:1 ratio is already critical for a domain; suspicious ratio (already close to spam) can be considered at 1:2 level, when there are 2 outbound links for 1 inbound. You can select option of any stiffness, but 1: 1 ratio is quite good to screen out all the “slag” that harms your reputation and rating. Traffic. Get rid of all those links, which donors have not at least 50 visitors per day. The absence of traffic indicates a low authority, and accordingly, the absence of any benefits. Also, low traffic indirectly confirms the use of spam techniques. So filter such links: traffic can be evaluated by the open counters on the site or by the date of last news/articles and number of comments (e.g., with Alexa rating). Links without traffic is money down the drain. Trust level. The last thing you can check for the domain is how he is trusted, based on its reference relations. Use the “TrastFlow” parameter of MajesticSEO for this purpose. Sure, each of the mentioned factors may not matter much if it is not expressed significantly. However, by combining them you can clear your profile, gradually tightening the filtering. Template articles with commercial anchor. During the existence of the exchanges, many platforms were heavily spammed, while others were specially created for earnings on the articles. These factors significantly increase the possibility of getting backlinks from such sites. SEs easily define these resources on a number of grounds. If a backlink complies with these signs, then you get into a risk. Usually such articles are placed in almost no referred site sections, while every article refers (with commercial anchor) to the sites of different subjects. Footer and sidebar links. It’s not that place where natural (made for people) backlinks are usually put. Especially when themes vary from page to page. Some of them can still work, but more and more they just reduce site credibility. So, talking about backlink profile cleaning, this type of references should also be removed. Non-thematic opened links with commercial anchor. SEs treat badly non-thematic cross-links, especially of “dofollow” type. If you suspect your site of being penalized by Penguin, but haven’t find any bad links, better remove commercial anchors and change cross-links type to “nofollow”. Use cross-links not for SEO, but for attracting of potential customers and audience. Accordingly, if you see that the site is unable to give you the right audience, it’s no sense to place cross-link there. Anchor texts. Even getting links from normal no-spam resources, but overflooding anchors, you may be banned by SEs. Anchor list should look natural. Link text is subjected to the same algorithms (relevance assessing) as the common text. By using of only direct forms in keywords, you can easily turn on anti-spam filter. Make sure anchor text to be diversified, with direct entry of key phrase on the first places. Two or three mentions are enough to make document relevant to a certain query. If you’re under the filter, remove all backlinks with direct key phrases entry: this only leads to positive results. Lack of “brand” component. According to researches, natural anchor sheets are guided by “brand” component – a company or a site name. “Dofollow” vs “nofollow”. As mentioned above, spam signals are summed and turn on antispam filer. Open links may degrade picture in controversial situations, where the algorithm needs to decide whether you are manipulating the search or link came naturally. Therefore, “nofollow” is now a priority – you can close all suspicious links or advertising campaigns in order not to get under the filter accidentally. Generally, quality wins. One good link is better than hundreds, coming from spammed resources with sole purpose of getting money instead of giving some additional value to users. FFA (Free-For-All) resources. That’s the places where each and every person can put links completely free. Typically, these sites are not only useless for you because of their disregard by SEs, but also for the reason of attraction of spam to specified resources. Link farms. That’s the pages with an excessive number of links (50+ of outbound links). Non-thematic links. It’s not really harmful factor, but still non-thematic links give very few weight. Non-indexable links, cannot be found by SEs. They are simply useless: search robot should find a page with a link to transmit its weight to your site page. Avoid sites that display your links in the frame, use “noindex” in the block and attach “nofollow” links to the text. Do not post links to sites that point “nofollow” command in “robots.txt”. If you find that a page is not indexed, firstly check its lifetime – maybe it’s new and will soon be included in the index of search engines. Websites that were banned or penalized by Google. Remove backlinks that violate Google’s rules. Duplicated sites. As a rule, they are of poor quality, so better avoid having such backlinks. No-related to your niche sites. Google attaches great importance to relevancy: links form completely unrelated niches are bad signals for SEs. If you have women clothes shop, backlinkslinks from a site about cars are completely useless. Spammer comments and profiles on forums. No one likes spammers, including Google. Forum posts and comments that are placed only for leaving a link may also be a reason of punishment. Backlinks across the entire range of the site. Avoid links on side panels or in footers. Advertising articles. To advertise your services in blogs or on forums, use “nofollow” attribute. Links from sites, connected with adult or gambling. Some other references and methods that infringes Google’s principles: masking, sneaky redirects, doorways, hackings, automatically generated or irrelevant content/keywords. Vary text environment around the link as frequently as possible. Gather references obtained by various methods from a various sources. Use diluted texts in the anchor. More than 95% of all Google’s penalties are related to site owner’s backlink profile. If you’ve been penalized, or still not sure what is a bad backlink, read Google Webmaster Guidelines. Removal of bad backlinks is crucial for getting out of Google’s sanctions or preventing them. 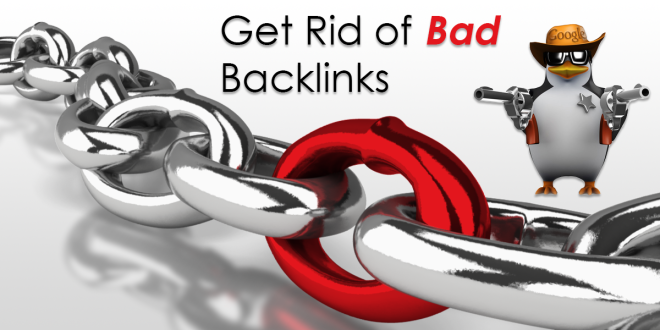 Use the following tips to manage with bad backlinks. Option 1. Start GWT, exports all backlinks, click on “Search Traffic” ->”Links to Your Site-> “Who links the most”-> “more”. Then use “Download more sample links”, and Google will load all incoming backlinks in CSV format. Option 2. Use Open Site Explorer. Enter the site address, click on search, ask for report in CSV format. To this moment you have two reports (GWT and Moz). Both bad backlinks checkers contain list of backlinks. To compare links value, use Majestic SEO and Ahrefs. With a few links on the site, it’s not a problem to check them manually. To determine backlinks quality, you should gather as much info and SEO indicators as it possible. 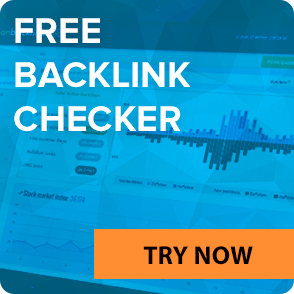 Use Monitor Backlinks as bad backlinks checker – a tool that allows to import CSV report from GWT/Moz to get an idea of what links should be retained. Connect your domain to the Google Analytics by a Monitor Backlinks to find more links. 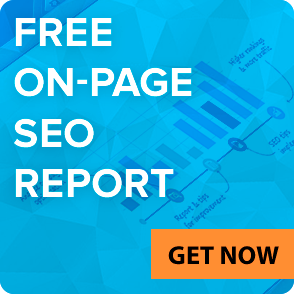 Monitor Backlinks uses Analytics Referrals and Ahrefs API, so you get the full information. Sites with too many outbound links are often bad (e.g., automatically approved blog comments, when lack of moderation leads to excessive backlink number and its low quality). To find all the links form flooded pages, click “Filters” -> “EXT” in Monitor Backlinks. Google does not like spammed networks, so such references must be removed. Find such backlinks in Monitor Backlinks by checking the “IP”. To detect bad backlinks, use referring sites TLD. It’s fool to have backlinks from sites out of location of your business. Use search Monitor Backlinks filters to cross out inappropriate TLDs. Relevance is important when cleaning the reference profile. Check whether your website backlinks from such sites. Do this by button “From” in Monitor Backlinks, specifying target keywords. The removal process can be complicated and confusing. Most importantly, you must understand that you cannot remove all the backlinks. However, you can reject all the links that were not removed. Be friendly and polite, sending a letter with a removal letter. Personalize each message and avoid patterns. Give the exact backlink location. Simplify the webmaster’s work. Do not threaten webmaster by SEO black hat or something else. Sounds silly, but it happens. Do not worry if you can’t remove the link. Removal of 10-20% is considered as a good indicator. Never pay for the removal of references. Once you start the removal, you’ll notice that webmasters quite often ask money for the removal. Instead of removing you can disavow these links. After sending a removal request, wait 2-3 weeks and send another letter. Still have nothing? Then start to disavow links. To create a report with to-be-removed-backlinks, use Monitor Backlinks. Select the backlinks that you have marked and use “With selected” -> “Disavow domains”. Then go to Google Disavow Tool and upload a file with the report. How to find e-mail addresses of site owners and webmasters? There are several different ways to find someone’s email or contact page. You can use a free RankCracker tool which will find an e-mail and contact URL-address. You can also use BuzzStream , which has some bonus features. Try to find contact info on their website. Typically, the contact information is located at a site top/bottom. Once you find the person’s name, try to find his email address. If you’re sure about webmaster’s name, use Voilanorbert.com. Also you can use Whois.net to find the e-mail address associated with a hosting company. LinkDelete. This tool will help you draw up a report on the backlinks to determine bad references. RMoov. This service does not check links, but you can add a list of URL, obtained with the help of other tools, and then RMoov.com will find contact information for communication with site owners. Removeem . This service finds backlinks, extracts contact information and allows to track the removal process. 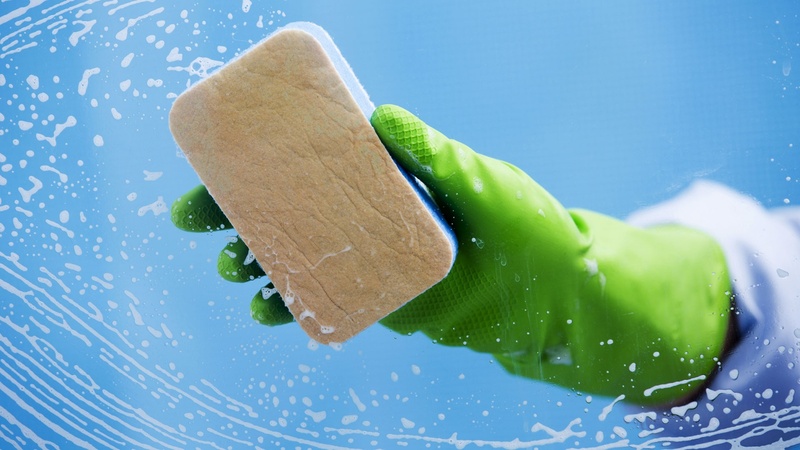 Successful SEO optimization is impossible without clean reference profile. Pay close attention to backlinks, make sure that you have removed or disavowed bad links until it is too late. Choose backlinks from the maximum possible number of sources and filter them to identify those that lead to drop in SERPs. Once you have removed bad links, you can spend some funds for the purchasing of new ones. LinksManagement provides the best technology of backlink profile building, so from now you can move forward without any unexpected money and time losses.